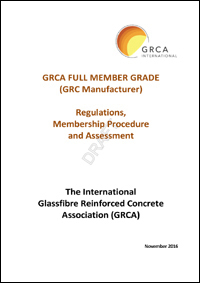 The International Glassfibre Reinforced Concrete Association (GRCA) has a range of technical documents available on most aspects of GRC specifying and specification, manufacture, testing, installation and use. These documents include reports undertaken and sponsored by the Association from the vast wealth of knowledge available within the Association and its Members, as well as independant reports from a variety of sources. 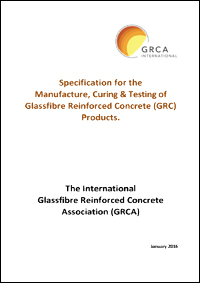 Most of the GRCA technical documents are available to view and download from this web site, by clicking on the links in the left hand column.